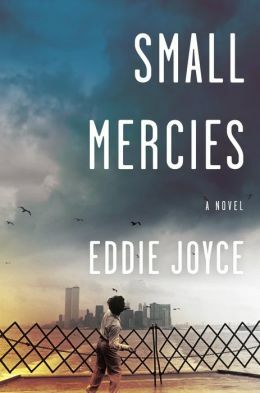 This is a terrific family story, combining compelling characters and social history. Flournoy does a great job of creating fully rounded characters–even the siblings that appear only briefly are real people. I suspect (and hope) she has more stories about the Turners that didn’t make it into the novel. The Turner family has lived on Yarrow St. in Detroit for over 50 years. Francis and Viola raised 13 children there and witnessed the precipitous decline of the city’s East Side. Widowed and elderly, Viola is now in danger of losing the house, which is worth less than the mortgage payments. Her children and grandchildren have strong–and different–feelings about whether the house should be saved. From the oldest–Cha-Cha–to the youngest–Lelah–everyone weighs in with an opinion or a plan, depending on what the house means to them. Cha-Cha feels responsible for making decisions and providing for his mother; he irritates his younger siblings with his need for control. Lelah, the youngest, is secretly living in the old house; she fears that her brothers and sisters will learn about her gambling addiction. Troy, a policeman, has a scheme to make money by selling the house illegally. Turner focuses on these and several other siblings but we get a terrific sense the family dynamics. With all these stories and family collisions, there’s also a subplot about a “haint” that appeared to Francis and now Cha-Cha. The meaning of the “haint” is unclear to Cha-Cha, and he worries that it’s providing a message that he needs to understand. Turner cleverly doesn’t let the “haint” turns the novel into a ghost story, but uses it as a device to reveal some of the dark undercurrents in the family’s history. 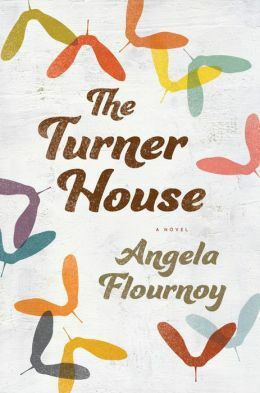 Flournoy’s descriptions of the Turner family dynamics and the house that holds them together is filled with the family dynamics we all know; it’s a universal story of how we love and struggle with our parents and siblings.